Top singers employ singing coaches. They don’t rely on natural talent alone but turn to experts who can help them achieve more while preserving their voices. Think of some major stars who, over the years, have hurt their vocal chords and even needed surgery. One can still maintain a distinctive sound but expand range and quality by taking lessons. Could The Superior Singing Method be the “breakthrough” touted on its website? What Is The Superior Singing Method About? 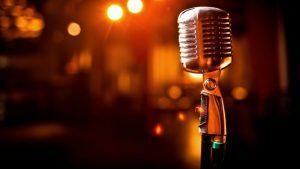 With The Superior Singing Method, one should be able to control sound, increase vocal range by a full octave, and even learn to sing even if he or she is a terrible singer now. Actually, it’s true that non-singers can learn to sing tunefully, but what about natural singing gifts? Let’s not imagine the greats in this world didn’t have mentors, teachers, and so on. Everyone learns from someone. Singers do damage to their voices when they aren’t tutored by singing coaches. These coaches aren’t famous because they lack something the commercial world of music wants, maybe stage presence or looks, but they are still gifted, knowledgeable individuals. Moreover, they teach singers how to stretch their range so they can compete with the best singers out there whose records sell in the millions because listeners are astounded by how high or low they can sing as well as the beauty of their sound. How does a singer reach high notes or low ones, adjust volume, or create other dynamics when singing? This person uses breath control. In other words, the singer lets out a little at one time or a whole lot all at once. He or she might let out breath staccato style (quick breaths) to create an interesting style. Certain voices, though powerful, are flat. With breath control, one will add vibrato, a sound created by fancy machines or well-tuned vocal chords. You’ve got the idea of breathing; in fact, it happens automatically. Then again, breathing as a singer is different from breathing to live. People who do yoga understand the difference between regular breathing and deep breathing. When you can’t get enough air to belt a song but want to hit a note powerfully, it’s tempting to force it, which leads to cracking. Too little air also causes quaking and stops you from feeling free just to sing. The Superior Singing Method is supposed to stop all that in only a few minutes. So, why don’t they just share the method and be done with it? There must be more to it than that; eight steps, in fact. Opera singers don’t just wake up and sing Puccini, and neither will you. Even with this method, it takes time to develop strength and confidence. The teacher of this method is Aaron Anastasi, a world-renowned vocal coach. If you haven’t heard of him, don’t worry: he’s here to improve your pitch, range, and breathing technique. His product is full of effective exercises. Consumers keen to expand their vocal range and tone will receive video lessons, so they don’t even have to travel to classes. Sing with greater flexibility and confidence. Become so good you are capable of professional singing by the end of the month. The superior singing method review. Is it really going to work? There are a couple of provisos you should note. For one thing, there is no one-on-one coaching to address personal quirks. If you do something that prevents you from succeeding, a real person isn’t there to catch it. The coach can’t help you sing a specific song better if that’s all you are after. And if your skills are relatively good but some areas could do with addressing, too bad; you buy all eight steps, not just five of them. Each skill builds on the other, however, so tuition in all eight will help you overall.